The more I usually fall in love with a hobby or special interest, the more I want to see behind the scenes…get hands-on and dirty with it, or learn how to make my own. Especially with denim…when I first heard the story of Frankie B’s founder starting her business by sewing jeans for her friends in her attic, I felt the itch. That was many many years ago, and I still get held back just because I took one career path, and know very little about textiles. Growing up, my mom would always hand me denim scraps that I’d sew into clothing for my Barbies or even into little handbags. I have a pretty decent knowledge of sewing, but still, my knowledge is limited. If only I could clone myself and head back to college, right? I can’t see myself stopping what I’m doing now. One of my favorite denim blogs, The Jeans Blog, recently posted about something special for denim enthusiasts out there…a chance to learn first hand how denim is created and how to make your own. PRPS founder Donwan Harrell graduated from VCU in Richmond, Virginia as a fashion design student, and didn’t emerge with a whole lot of knowledge about the denim industry. This is pretty inspiring to me, considering how huge PRPS now is! He has recently instituted a program at VCU, called Jeanology, to teach students all about the denim manufacturing and washing process, something that he most likely would have participated in during his days as a student. How amazing is this? Ok so first…I need to clone myself, and second, I need to move to Virginia. Problem solved! I would LOVE to be able to do this! 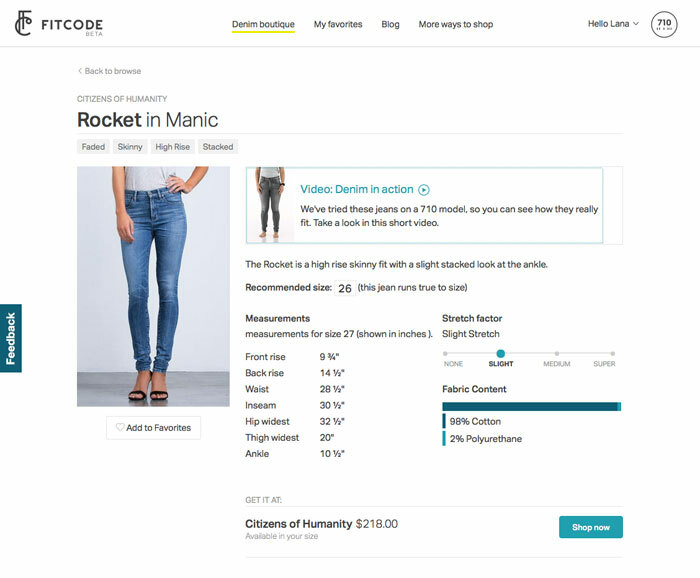 Recently I posted about Fitcode, a revolutionary new way to find your perfect pair of jeans online! We all know how difficult it can be to find that fit even if you are trying jeans on in person, so shopping online can be a nightmare. 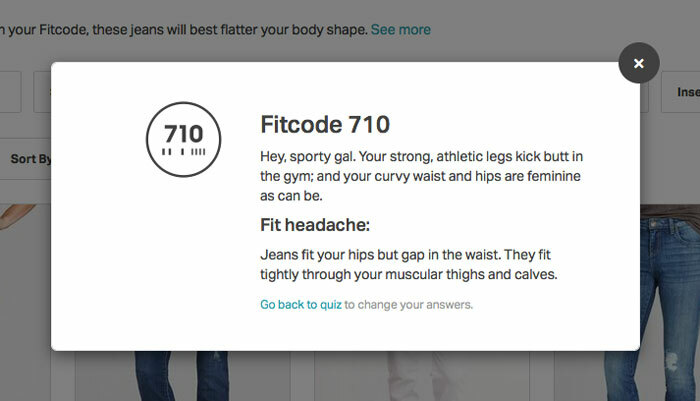 Fitcode has emerged to solve that problem by offering a simple five-question quiz which then uses and algorithm to assign you your own unique number, which then coordinates with an impressive, lengthy list of jeans that will best fit your body type. As I mentioned in my previous post, Fitcode was founded by former models Rian Buckley and Bri Cooley, who personally hand-measure jeans so you can be sure they will be a perfect fit when they show up as your results! 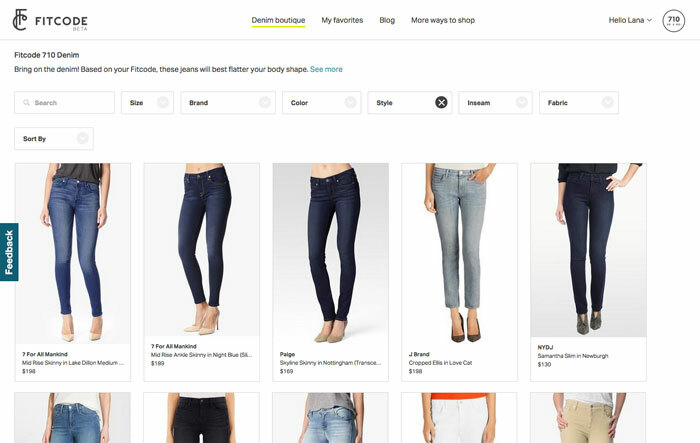 You can even install a Fitcode browser plugin which will allow you to shop select retailers, like Nordstrom for example, with your Fitcode number placed over your ideal jeans as you shop. I was contacted by the company and was given an opportunity to go through the process for myself, and was sent the jeans that I settled on as a result, and I’d have to say, it was pretty dang spot on! I have a curvier shape which often results in jeans gapping in the back, so I landed on the high rise Citizens of Humanity Rocket jeans which I absolutely love! I have been wearing them a lot lately! Fitcode is currently in their beta stage, but are growing fast already. It’s been a couple of weeks now since I’ve last checked out my selections, when I believe there were six available brands to choose from. Upon checking back now, the brand selection has expanded to eight, showing just how dedicated and meticulous these two ladies are with their research to make sure this will become the solution for online denim shopping for years to come! Here is a rundown of the process and my personal experience! The initial multiple choice quiz, shown above, is so quick and easy. It simply calculates your proportions, by asking you about your level of curve and type of booty, thighs and leg length, with each option including a suggestion how jeans normally fit you to make it easier to make your selections. The last question is pretty genius, and is constructed to both help you as well as help expand Fitcode‘s data by asking you to enter in your favorite denim brand and your usual size and inseam within that brand! So far I saw no ambiguity with these options and everything was pretty spot on with my body shape and personal experiences. After the quiz – My Fitcode! After I hit finish after the quiz, I was presented with my own personal Fitcode number which explained my physique to a T! I noticed it also provides an option to go back and retake the quiz if you are not happy with your results. 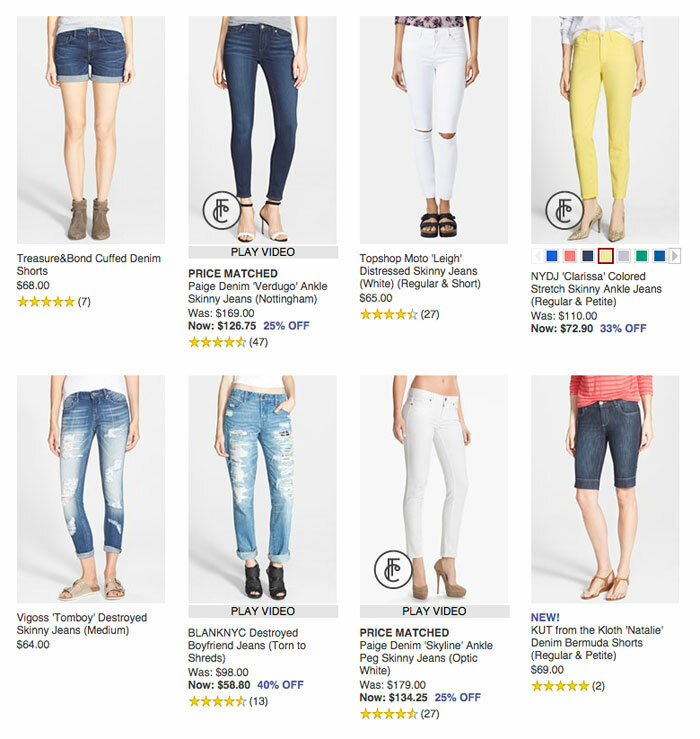 After closing the quiz results, I got to see the fruits of the quiz algorithm’s labor, with all of the jeans suggested to me. The beauty of this is that you can sort between brand, size, color, style, inseam and price. Since I love skinny jeans, I chose “Slim/Skinny” in the “style” field, and I have been curious about trying out Citizens of Humanity again lately, so I picked the brand out from that appropriate dropdown. I really am horrible at making a selection, being as obsessed with denim as I am, so it took me awhile to narrow it down! I was first eyeing a pretty frayed hem version of the Rocket jean with a bleached dot pattern throughout it, and I wavered between that and some of the distressed styles of the Rocket and the Racer jean (which is a low rise jean). Finally I settled on going without distressed, and looking for a clean, quality, classic high rise that would last me for years to come. As I looked up reviews for the Rocket jean online out of curiosity and to help finally make my choice (not because I doubted Fitcode‘s results, I’m just, again, obsessive like that), I spotted a few images of Rihanna wearing the Rocket in Manic, looking quite fabulous! Her body shape is similar to mine, so this is the style I settled with! 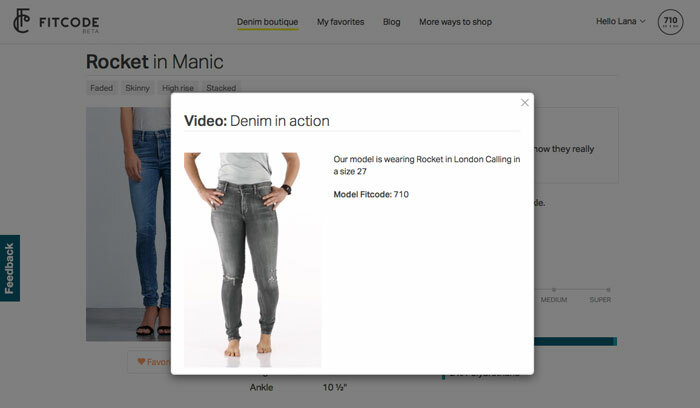 One other brilliant feature on Fitcode is the video available on each jean’s product page, which allows you to see how it will fit someone with the same Fitcode number as you. The ladies at Fitcode were awesome and generous enough to send me my chosen pair, and here they are! Perfect fit! I’ve worn them many times and they stay put. They’ve conformed to my body and softened up after being initially pretty snug, but the stretch is incredible and I feel so hot in them! I am often wary, but remain open, about high rises…but everything great I’ve heard about the Citizens of Humanity Rocket jeans is spot on. They are a new favorite! I’ve worn them many times already and they have not stretched out. 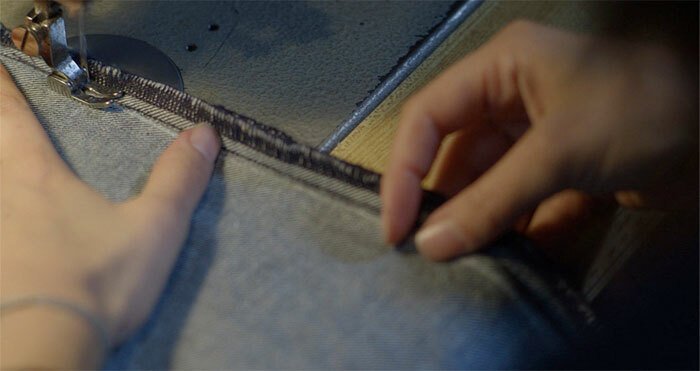 Most of the denim I cover is within the $40-$250 range, all created with the utmost of care and attention to detail…through trials and errors of testing and design for the ultimate fit before being handcrafted and finished to perfection, and quality assessed for a product to be proud of that will leave you confident you are getting your money’s worth. I am always finding all sorts of fascinating concepts and examples of a neverending variety of creative minds in the industry, and usually price ranges stay in the contemporary premium range rather than into the $400 or $500 range you’d expect to find in the land of high couture. High couture is definitely interesting, in a good way, and I love the awesome spectacle of runway shows and view it mostly as art, since it’s not always totally relatable or reasonable for everyone. At Denimology we just began working with an incredible brand that still might be out of that price range for most, but I just HAVE to share it here! Diego Milano, from what I can see, somehow accomplishes going all out with their denim pieces without worrying about the end-consumer expense, and without the scent of high couture wafting off of them. They appear to be within the premium denim world that I already know and love, but I get the feeling they are on the humble side about the creative genius behind the brand. Man has the athletic apparel industry taken off! 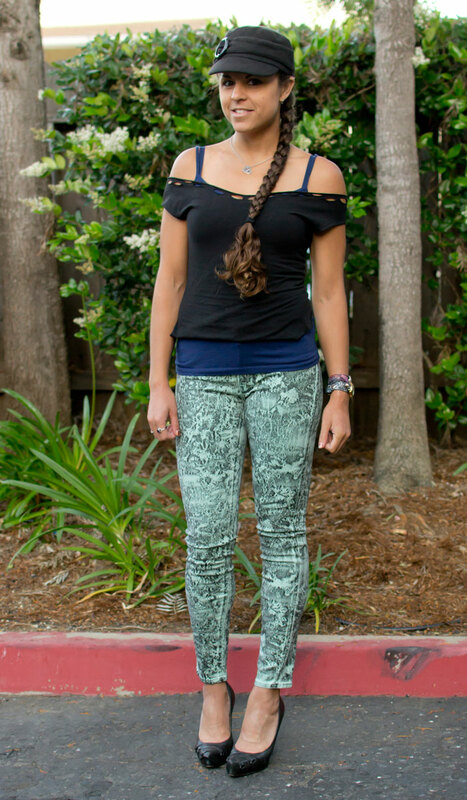 I’m sure these delectably patterned leggings have existed for awhile, but it seems there have been more popping up ever since the fashionable athletes amongst us took the athleisure trend seriously and wanted to look good while breaking a sweat as well as while hanging out or running errands. These pretty designs seem to center around the yoga industry, but I’m seeing more of them at parties and music festivals than anywhere else! I grabbed a pair of Onzie leggings for Lightning In a Bottle earlier this year, and I have to say I’ve fallen for it too. I became sort of obsessed with printed jeans recently too, so I guess it only made sense for printed leggings to follow suit. I still can’t see myself wearing them around town, or even to workout (well, maybe actually), but I really love styling them for music events! For this post I decided to make a small collection of some of the brands that have stood out to me lately, in some truly eye popping designs. I generally like lots of color and abstract or geometric designs that are more blocky than fine or detailed (although it depends on the artwork). I can’t even recall exactly how I ran across some of these brands…I think Teeki popped up while I was searching far and wide for the perfect Onzie legging, and I’m pretty sure Mahiku and Sadhana were both followers on Twitter. Luna Jai was brought to my attention by a friend, because the name is so close to my DJ alter ego/name, Luna Jay! Kind of funny how that one worked out. TUYA (Turn Up Your Awesome) is a brand I discovered at Lucidity Festival and has a great charitable cause attached to it. Onzie is definitely a favorite…I wrote a lot about them on a past post, here! Most of the styles from the brand that appear in this post are still available across the internet. Onzie is actually the brand that really made me see why some of these leggings cost as much as they do…the quality is impossible to explain until you try one on for yourself! See a photo in my Onzie leggings below. Either way, I like all of these designs, and there are a lot more where these came from, so be sure to check out these brands individually, as most also have other athletic pieces such as sports bras, outerwear, etc. As my denim obsession and side job in denim blogging advances and my denim nerd level grows, more and more people are always asking me what the average price of a reliable pair of jeans is, and where they can find the great deals. My immediate answer is to direct them to popular sample sale sites Rue La La, Hautelook and Ideel, which are my go-tos when I am in a shopping mood, but I get so many great sales in my inbox every week that I’d feel silly if I didn’t share them too. It seems there are more great deals floating around for current and would-be denim fiends nowadays than I’ve ever seen that it’s gotten to the point where you rarely ever need to pay retail anymore! So here are a few of my favorite brands on sale right now. Whether you are looking for edgy, chic, comfortable, or just a classic pair of jeans, you’re in the right place! Above is a brand that I still have yet to get my hands on, 3×1, which prides itself in being one of the best sources of selvedge denim around. You can bet on quality with this brand for sure! New items have just been added to their sale, so give it a look. Does this one really need an intro? 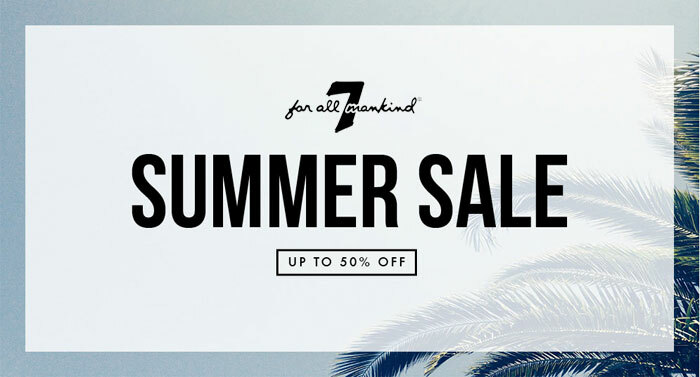 It’s always exciting when 7 For All Mankind goes on sale. I’m always eyeing new styles in the Kimmie, which is a perfect fit for curvier bodies like mine. Check out the Contour fit for a contoured waistband or the slimming effect of the Second Skin Slim Illusion version. It’s usually a good idea to size down in the Kimmie style so keep that in mind if you are going for a pair! The brand also has a $99 denim section right now for more great styles. 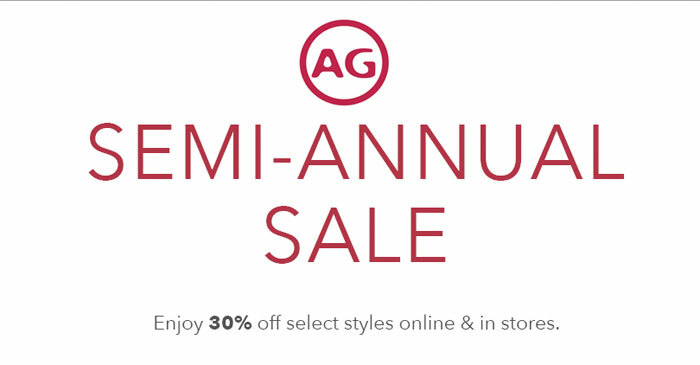 Another huge favorite…I’m a big fan of the AG Stilt jean! I always size down in this brand too, and it’s an amazing one for curvy shapes. I suggest the Angel for a great slim flare look if you aren’t into the skinnier styles. These fit so well without needing to be pulled up throughout the day and are so flattering! The stretchy fabric is super soft, too. 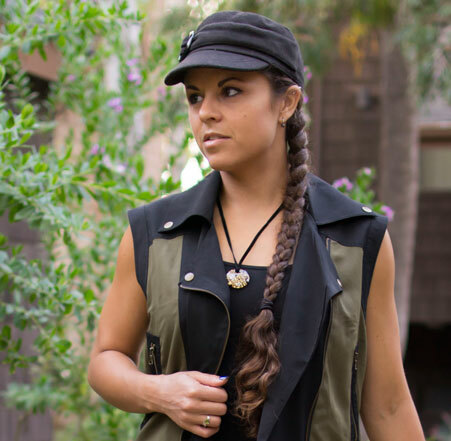 Level 99 is one of my top ABSOLUTE favorite brands…they are relatively new to the industry and have made such an impressive impact on the denim market with their eco-friendly fabrics, wash processes and impeccable fits. Their price points are slightly lower than most premium brands, so when this brand goes on sale, it’s worth checking out. Check out the Tanya high rise for a great curvy fit (I reviewed this style here) or the Janice for a perfect figure-hugging super skinny fit. 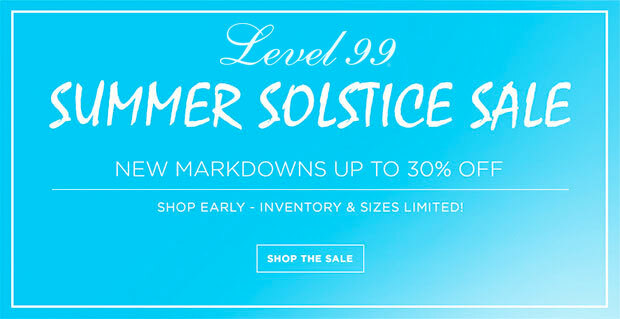 Level 99 also uses tencel fibers in their fabrics which makes for an ULTRA soft and stretchy feel. These jeans are so awesome! Blank NYC is killin’ it in the summer style department and has been seen all over the booties of festival-going bloggers everywhere. 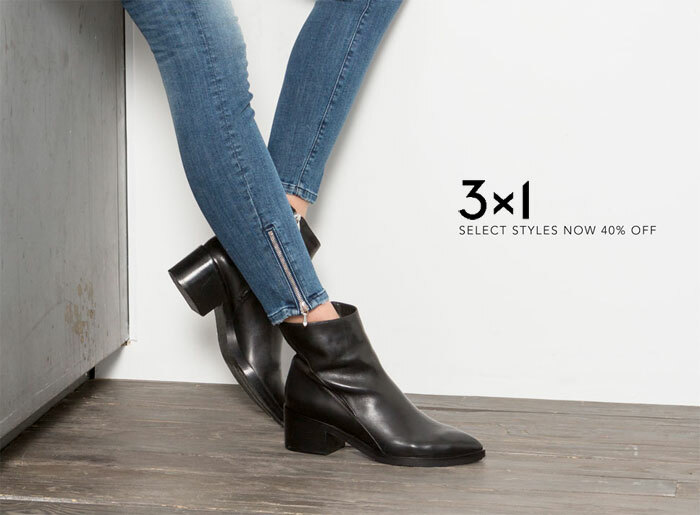 They are an amazing brand for quality at a lower price point, especially if you are looking for a little bit of edge or some chic distressed looks. Their sale section is always rocking, but there have been a few more styles added lately! If you are looking for something to add to your closet this summer without breaking the bank, this is a great one to check out. I’ve never had much of a problem in terms of fit with this brand, but I do size up one size as they tend to run small! I don’t often see Diesel go on sale so this is a rare opportunity! What can I say about them other than the fact that they pretty much rule the out-there, totally unique and super edgy rockstar look. 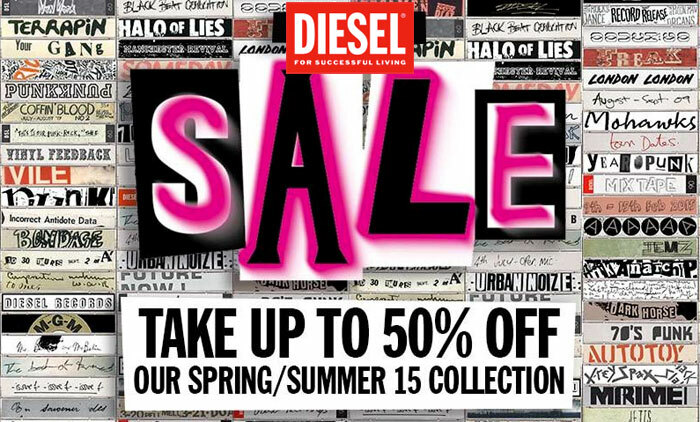 Diesel does offer a few classic styles, but if you are really looking to stand out with something that will turn heads, check this sale out! Diesel will bring out your inner punk rocker and you won’t look back. For sizing, I usually take my true size. Every now and then though, I size down. Every look and fit is different so I would read closely and check out online reviews before you buy. I absolutely love this brand! I haven’t checked out many of their latest styles, but I did two reviews for them earlier this year: The Grace in Moscow and the Florence Instasculpt in Warner. 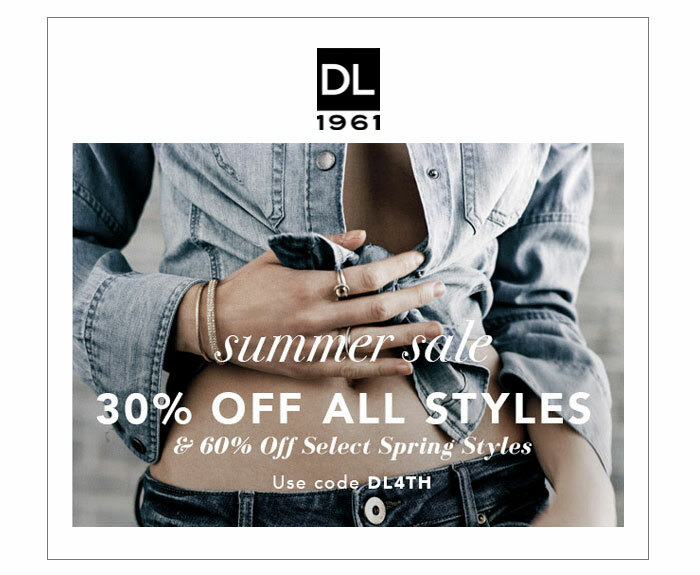 DL1961 came out a few years ago as a revolutionary brand that finally answered the need for jeans that stick to your shape without stretching out. These are SO soft and definitely keep their form while holding you in! Take your usual size in these. 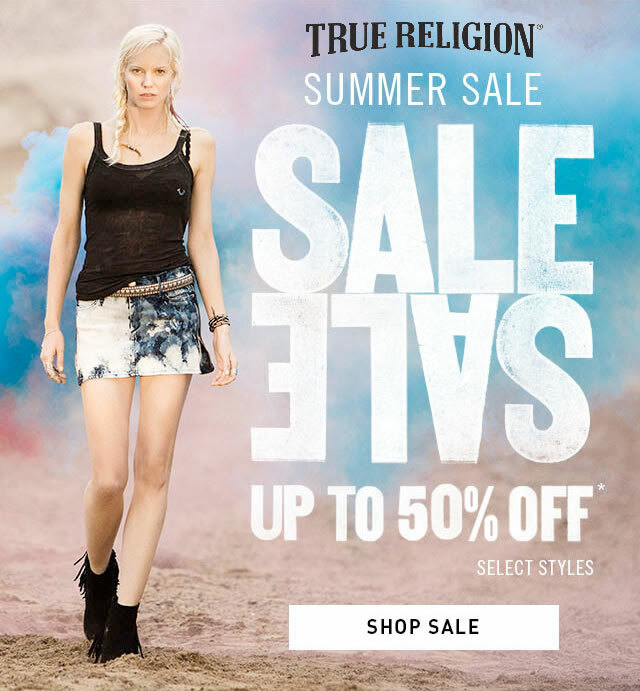 Like Diesel, those that know True Religion know that they don’t often go on sale either. This iconic brand is offering 50% off select styles, so if you’ve ever been tempted by the idea of your own pair of horseshoes on your bum then this might just be the time to check them out! This style runs through July 8th so hurry now for the best selection. 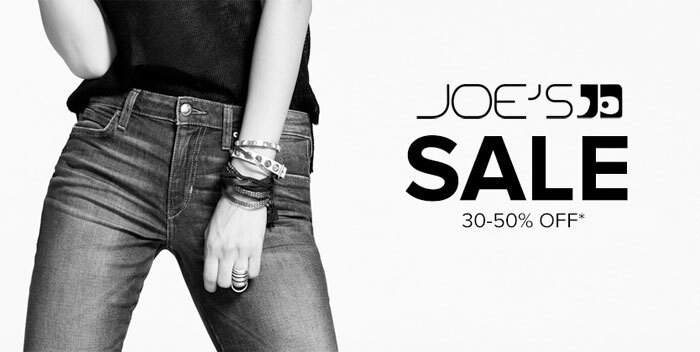 Joe’s has already grabbed the market’s attention as a great curvy fit jean that will last you for years and years to come! A ton of new items have been added to their current sale at up to 30-50% off, including denim, tops and jackets for women and men. Shop a wide range of collections including Music Festival Style, Sooo Soft, Spotless, Off Duty, 70s Inspired, Collector’s Edition, and so many more. There is a MASSIVE selection of both classic and edgy looks to fit whatever style, fit, texture, color, etc that you may be looking for so head over now…even if you aren’t inclined to shop at the moment, it’s worth a fun look! Happy shopping, happy weekend, and happy Father’s Day! Trends come and go and either I like them immediately, hate and condemn them to the back of my brain forever, or hate them at first and slowly warm up to them over time. The romper is one of those things that I never really liked…I always kind of felt only certain body types could pull them off (read: models) and they just weren’t really right for a more muscley, athletic type such as myself. But over time, this style has changed and evolved and brands have gotten pretty darn creative with it. I’m still not totally convinced, but I think at this point I’ve taken them from back of the brand condemnation up a notch to a separate, special compartment called “possibly.” I wasn’t really expecting to write about rompers today until I saw a newsletter come in from a favorite retailer, Revolve, featuring nothing but rompers. I was pretty impressed with what I saw…not gonna lie! I figured this would make a perfect post and add some variety since I’ve been so into posting about individual startups, the usual denim or charitable apparel campaigns. Not that that’s a problem, but I like such a wide range of things (hence my blog name). I collected several pieces from Revolve here, many of which I would at least try on in a dressing room, and maybe even wear out on the beach one of these ridiculously hot and dry California days we’ve been having lately. Some I might not wear but I added them anyway because they just looked so neat and different! The usual romper went from looking like it belonged on Baby Spice to something truly dressy and chic. 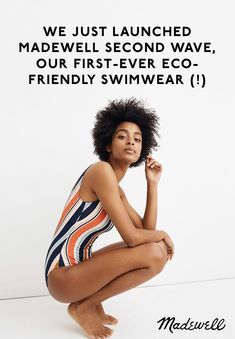 I guess one of the reasons why so many of these stood out to me is because many of them look more like mini dresses and add to that boho vibe that just about any chick can get down with, but I also like how many are more form fitting than the rompers I’m used to seeing around. I usually don’t like how boxy they often look…baggy and unflattering. I’m sure with a pair of heels most of these would look like something to be worn at a swanky formal event! Enjoy, and let me know what you think! When I first joined Birchbox several years ago, I just figured hey, a box of awesome samples to my door every month for just $10? Awesome. However, It’s been a lot more than that. I’ve been dedicated the awesomeness of Amway’s Artistry makeup and skincare line for its high quality in terms its organic, pure and eco-friendly ingredients (no fillers) made right here in the USA, as well as the amazing work its done for my skin and the fact that it’s eliminated the need to ever worry about touching up my makeup throughout the day. But due to the obvious nature of this blog, I love discovering what else is out there! I’ll always stick to Artistry but it’s so fun to me to see what everyone else is up to. Fragrances for me haven’t really ever been a huge thing, as I normally just saw them as one more step to remember in the morning…and I really only used them if I was to go out at night. I admit I do have and love Lady Gaga’s and Rihanna’s perfumes, but I only used them for special occasions and thought they were a bit too strong and possibly too processed for daily use. 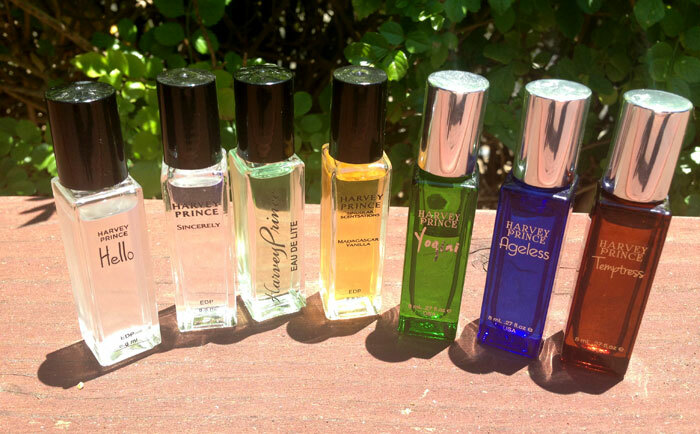 Birchbox introduced me to Harvey Prince, with my new favorite scent, Journey (now renamed Sincerely). Harvey Prince fragrances are made in the USA, are 100% cruelty free, and include zero phthalates, parabens, sulfates, benzene, propylene glycol, GMOs, or triclosan. They are also rigorously tested, adhering to the very strict rules of the International Fragrance Association for toxicity and allergins and are created using the finest essential and natural oils from around the world! You can smell the quality of these scents…each one is flirty, fresh and contain hints of all sorts of different fruits, flowers and spices. I subscribe to their newsletter, which offers a free mini roller of each of their most popular scents every now and then (with the deal being to only pay shipping). Since I don’t use a ton of perfume and I love variety, I loved this idea, and jumped at each one of these chances to have a little bit of every Harvey Prince fragrance at my disposal every morning! It’s also awesome that every purchase has included a sample of another one to try out. My favorites so far are of course Sincerely, and Ageless, which has a delicious touch of grapefruit, and I LOVE grapefruit! Check below for the others that I’ve accumulated and now use on a regular basis! I am a HUGE fan of jeans that are painted, patterned, printed, textured…you get me. Not many things can replace the classic blue jean, but there is something awesome about a jean with several different colors or a unique pattern or print in terms of its unexpected level of versatility. Not many are well rehearsed in how to style them, and I wasn’t either, until about a year or two ago. I’ve developed quite a fondness for them and realized that they actually do have a multitude of possibilities! I think I have more fun styling them then I do with a traditional jean! When I was presented with another chance to review a pair from the perfectly classic brand Parker Smith, I was immediately drawn to a pair that I didn’t expect to find amongst their other jeans which have been favorites of mine on their own for many years. So here we go with this next pair I’d love to share with you…here’s a Parker Smith Ava Skinny in Abstract Mint review! I’m always running across little pieces of news or interesting, innovative ideas popping up in the denim industry, but they don’t always offer enough content to warrant an entire post to themselves. So, I keep a running list until I’ve accumulated enough items to make a collective post featuring the ones that stand out to me the most. It’s never a dull day in the denim world…despite how ridiculously competitive it is, companies new and old are still coming up with new things. Denim certainly isn’t just denim anymore! I’m a complete sucker for a beautiful, classic blue jean…it almost seems like no matter what this traditional wash never gets old and I am constantly pleased with every style I try on because every jean is unique in its own awesome way. However, something I’ve picked up on a lot lately are the not so traditional pairs…the printed, textured, patterned, painted or the colored jeans. The warmer months of spring and summer are ideal times for super colorful jeans as everyone’s moods are lifted by the longer, brighter days! We’ve all seen solid colors, we’ve seen ombre, tie dye, and paint splattered jeans, but I have something really unique here…so lets get right to it. Here is a Denim Expert BlueXonly Straight Painted Jeans review!